Changing the way users capture still images and video with a DSLR camera, Canon proudly introduces the EOS 70D a trailblazing powerhouse featuring a revolutionary autofocus technology that unlocks the potential of Live View: Dual Pixel CMOS AF. This game-changing technology allows the EOS 70D to capture video in Live View with smooth and precise autofocus similar to that of a camcorder, complete with the superb image quality that is a hallmark of EOS cameras. Changing the way users capture still images and video with a DSLR camera, Canon proudly introduces the EOS 70D a trailblazing powerhouse featuring a revolutionary autofocus technology that unlocks the potential of Live View: Dual Pixel CMOS AF. This game-changing technology allows the EOS 70D to capture video in Live View with smooth and precise autofocus similar to that of a camcorder, complete with the superb image quality that is a hallmark of EOS cameras. Additionally, Dual Pixel CMOS AF provides fast and accurate autofocus during Live View still image capture, enabling you to fully benefit from the freedom of angle allowed by the Vari-angle Touch Screen 3.0-inch Clear View LCD monitor II. Compositional options are now nearly limitless with the two real-world choices of Live View and viewfinder shooting. To further empower the photographer, Canon engineers spent months ensuring that the cutting-edge Dual Pixel CMOS AF on the EOS 70D is compatible with 103 Canon EF lenses, greatly expanding creative possibilities. Built-in wireless technology and the EOS Remote app* further enhance shooting versatility, as well as enable easy sharing. Brilliant image quality is provided by the EOS 70D's 20.2 Megapixel CMOS (APS-C) sensor, a first for an EOS camera with an APS-C sized sensor. A powerful DIGIC 5+ Image Processor supports continuous shooting up to 7.0 frames per second, as well as an extended ISO range of 10012800 (H: 25600) that allows shooting in a wide variety of lighting conditions. Stunning photos can be accomplished using the remarkable 19-point all cross-type AF system with a high precision dual cross f/2.8 center point, and advanced display options available on the Intelligent Viewfinder supply exceptional control. In-camera imaging features like HDR, HDR Backlight Control, Multiple Exposure, Handheld Night Scene, and Creative Filters available in real time help turn even simple images into spectacular photos. Elevating the possibilities of creative expression to extraordinary new heights, the powerful EOS 70D with Dual Pixel CMOS AF places the ability to capture both amazing stills and video right in your hands. The EOS 70D features Canons all-new Dual Pixel CMOS AF, a revolutionary leap forward in speed and accuracy that unlocks the potential of Live View shooting. This game-changing technology will forever change what is possible with a DSLR camera. The benefits of the groundbreaking Dual Pixel CMOS AF are clearly evident in video shooting, where bringing scenes and subjects into focus is a critical element of the final composition. On the EOS 70D, Dual Pixel CMOS AF helps ensure focus is achieved naturally and precisely, even when switching between subjects. And, combined with the predictive power of Movie Servo AF, subjects in motion are smoothly and consistently tracked once the EOS 70D locks focus, it doesnt let go. Plus, with the shallow depth-of-field afforded by EOS optics, your video gains a cinematic ambience. For stills, Dual Pixel CMOS AF makes Live View AF precise and faster than ever, freeing the photographer to take advantage of the freedom of angle afforded by the cameras Vari-angle LCD monitor. Whether capturing images of athletes on the field or kids in the park with a tripod or handheld and operated from a number of angles and positions crisp focus can be obtained nearly instantly across a wide shooting area, especially useful for those spontaneous or fleeting shots. And, when composing and shooting in Live View mode, the image, exposure and chosen effects can be previewed before shooting, ensuring better accuracy, increased comfort, and more control from the start. 103 Canon EF lenses are able to fully realize the benefits of Dual Pixel CMOS AF. Compatible lenses greatly expand creative and compositional possibilities so users can enjoy a wide range of endeavors made possible through various lenses whether shooting still images or video. The new EOS 70D incorporates cutting edge wireless technology right into its compact design. The cameras exposure settings, such as aperture, shutter speed and ISO, focus, and shutter can be operated wirelessly using an iOS or Android smartphone* with the free Canon EOS Remote app**. Using a smartphone with the EOS Remote app** installed, you can shoot remotely from a distance, even in Live View mode, for those difficult-to-capture shots; you can also review images on the EOS 70D without having to take it out of the bag, and easily transfer and save images directly from the camera to a smartphone. Full DLNA (Digital Living Network Alliance) compatibility means easy sharing between the EOS 70D and other DLNA products, like HDTVs, smartphones and more. Still images can even be transferred between two wireless-enabled Canon cameras over a Local Area Network (LAN). 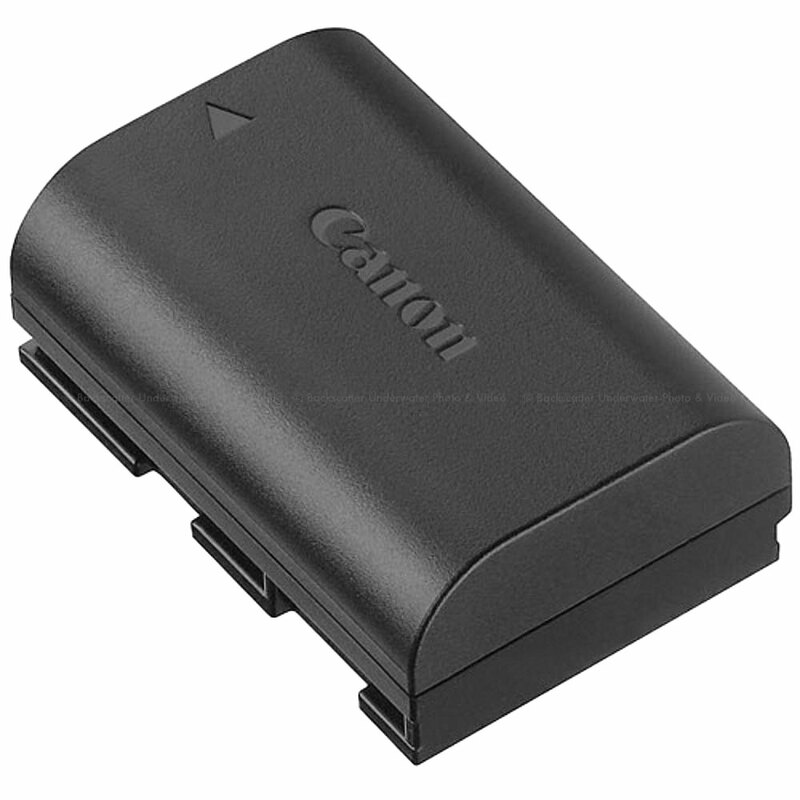 Images and video can be uploaded instantly to CANON iMAGE GATEWAY# for easy sharing on social networking sites, and photos can even be printed on a wireless PictBridge certified printer without the need for a PC. Remarkably, the EOS 70D has all of these wireless features without the need for any additional accessories; theyre built right in! Offering the highest pixel count of any APS-C sized sensor in EOS history, the EOS 70D cameras 20.2 Megapixel CMOS sensor records a massive 5472 x 3648 pixels, perfect for even the biggest enlargements and offering enough resolution for significant cropping while maintaining the detail and essence of the particular scene. 14-bit signal processing ensures excellent tonal gradation and a wide ISO range of 10012800 (H: 25600) ensures excellent image capture even in dim lighting situations. The EOS 70D cameras image sensor combines with Canons powerful DIGIC 5+ Image Processor for improved data processing speeds, greater noise reduction, and even real-time compensation for chromatic aberration. Thanks to its DIGIC 5+ Image Processor, the EOS 70D features an expanded ISO range of ISO 10012800 (expandable to 25600 in H mode) that makes shooting possible in situations previously unthinkable without flash. The EOS 70D, with the DIGIC 5+ Image Processors remarkable noise-reduction technology, performs brilliantly in low-light shooting. Used with one of Canons EF or EF-S lenses with Optical Image Stabilizer, the EOS 70D can record beautiful images even when light sources are scarce. Capable of shooting up to 7.0 fps during continuous shooting, the EOS 70D is a perfect camera for quick action. Canons remarkable shutter, combined with speedy, sophisticated electronics, ensures instant response and performance. A rapidly occurring scene can be captured moment by moment, second by second, so that even the briefest of opportunities are captured in perfect clarity. The EOS 70D captures HD video with an impressive level of sophistication, offering phenomenal performance on a DSLR camera. It offers both All-I (UHS-I memory card is required) and IPB compression, supports H.264/MPEG-4 AVC High Profile, and automatically splits files greater than 4GB (FAT specifications) for extended recording without interruption. It offers the option of time coding during recording only (Rec Run) or at all times (Free Run), which is useful for multi-camera shoots. It also features improved sound recording adjustment capabilities; the EOS 70D has an internal stereo microphone for enhanced audio capture and a wind filter feature to reduce wind noise when shooting outdoors. Sound recording levels can be manually (up to 64 different levels) or automatically controlled, while a built-in attenuator is also provided to reduce audio clipping. For more advanced audio recording, the EOS 70D is compatible with many third-party electret condenser microphones with a 3.5mm diameter plug. The EOS 70D also boasts the advanced Movie Digital Zoom, allowing you to magnify the center of the image by approximately 3x10x when Full HD (1920 x 1080) resolution is set. The EOS 70D features Movie Servo AF for continuous autofocus tracking of moving subjects while recording video. Combined with the cameras Dual Pixel CMOS AF system, even fast subjects remain crisply in focus. Autofocus is smooth and continuous, and quiet when recording video using one of Canons STM lenses. The revolutionary performance of Canons Dual Pixel CMOS AF System, the predictive power of Movie Servo AF, and the pleasing depth-of-field provided by the EOS 70Ds optics make it possible to accomplish stunning, cinematic video capture, easily. With the Video Snapshot feature, the EOS 70D can capture short video clips (of 2, 4 or 8 seconds) then combine them automatically into one video file as a snapshot or highlights album. With no editing needed after shooting, the compiled video is perfect for sharing online or displaying directly on an HDTV via the cameras HDMI port. Additionally, stills can be recorded during video shooting simply by pressing the cameras shutter button. During playback, video clips in an album can be reordered or deleted. The EOS 70D comes with a Vari-angle Touch Screen 3.0-inch Clear View LCD monitor II for shooting videos and stills at a variety of angles, high or low, with up to 180_ of rotation. Using capacitive technology similar to todays popular mobile devices, this screen is touch-sensitive and delivers intuitive touch panel operation. Two-finger touch gestures can be used for zooming or changing images. Menu and quick control settings can be accessed, and focus point and shutter release can be activated with the touch of a fingertip using Touch AF. Displaying fine detail (at approximately 1.04 million dots), this screen is perfect for composing and reviewing images. Thanks to a solid construction between the monitors resin-coated cover and the liquid crystal display, reflections are minimized, and the display can be viewed, without glare, from any number of angles. The LCDs surface is treated with a smudge-resistant coating to minimize fingerprints and maintain a bright, clear image display. The EOS 70D has a high-performance AF system thats ready for anything. The camera features 19 high precision cross-type AF sensors, all of which can be selected automatically or manually. With cross-type AF points placed throughout a wide area, the EOS 70Ds AF system ensures amazing compositional flexibility whether shooting vertically or horizontally, and is superbly equipped to track the subject, even if movements are erratic or unpredictable. And with its high-precision f/2.8 dual cross-type AF center point, the EOS 70D delivers a whole new level of focus accuracy when shooting with lenses of f/2.8 or faster. The EOS 70D cameras AF modes can be customized to suit the situation, helping ensure reliable focus. The EOS 70D cameras Intelligent Viewfinder offers a sharp, bright, approximately 98% field of view with an approximate magnification of 0.95x, a viewing angle of 27.9_ and a 22mm eyepoint. Featuring a new coating that reduces reflections and new construction that improves response in cold environments, the EOS 70Ds Intelligent Viewfinder makes it simple to adjust and confirm settings without the risk of missing a beat. The Intelligent Viewfinder uses a transparent LCD to superimpose a customizable combination of focus points and gridlines directly over the image: it displays AF mode, AF points, electronic level, grid, alerts informing when white balance is being corrected and when Spot metering is enabled, and much more. With the EOS 70Ds Intelligent Viewfinder, unlike with other cameras, the photographer has the choice of seeing shooting information or looking only at the scene in front of the camera. The ability to effectively erase all shooting data and turn it back on with the touch of a button gives the photographer the opportunity to concentrate simply on looking and composing the photograph without distraction, a great advantage in numerous shooting situations. With its High Dynamic Range (HDR) mode, the EOS 70D can merge three images of varying exposure in-camera and save them as one final image, capturing a broad range of shadow and highlight detail with stunning tonal range. Adjustable to cover a range of 3 stops, HDR recording truly expands the parameters of the light and dark detail a camera can actually record, surprising viewers with the range of tones a photograph can accurately recreate. The EOS 70D offers a Multiple Exposure mode for film-like image creation with the convenience of in-camera processing. It offers two different compositing methods for proper exposure and composition: additive or average. Multiple exposure shots from 2 to 9 are stored as one final image and can be taken in both RAW and JPEG shooting modes. A RAW image previously captured by the EOS 70D (3:2 aspect ratio only) can be used as a starting point, and cumulative results can be observed and corrected in real time on the cameras LCD screen. Handheld Night Scene mode captures nightscapes with bright highlights and detailed dark areas, delivering results previously difficult without the use of a tripod. By shooting and combining four consecutive shots at a shutter speed fast enough to avoid camera shake, the EOS 70Ds Handheld Night Scene mode makes dramatic nighttime photography simple. The EOS 70D cameras HDR Backlight Control mode ensures that backlit subjects are not recorded too darkly. By automatically shooting three consecutive shots at different exposures (underexposed, correctly exposed and overexposed) and combining the images, the final result maintains detail in both the shadow and highlight areas, ensuring the backlit subject is properly exposed. To add to the fun and creative possibilities available with the EOS 70D, the camera has seven different Creative Filters that can dramatically alter the mood and visual effect of any particular scene. Creative Filters include Grainy Black and White, Soft Focus, Fisheye Effect, Toy Camera Effect, Miniature Effect, Art Bold Effect and Water Painting Effect. Each effect can be applied in three different levels (low, standard and strong), and easily previewed on the LCD panel in Live View. Since the filters can be applied to the image after shooting, its easy to try several effects on the same shot during post-process. The EOS 70D is compatible with all Canon lenses in the EF lineup, including compact and lightweight EF-S lenses, ranging from ultra-wide angle to super telephoto lenses and including the STM series optimized for video shooting. Canon lenses employ advanced optical expertise and micron-precision engineering to deliver outstanding performance and deliver beautiful results. Special technologies like Canons Optical Image Stabilizer help to minimize the effect of camera shake, effectively adding up to four stops of light; STM lenses even feature a stepping motor for smooth and quiet continuous autofocus while capturing video. With an array of lenses perfect for travel, sports, still life and everything in between, photographers can truly maximize the quality and performance of their EOS 70D camera. To enhance its already admirable high ISO shooting capabilities, the EOS 70D camera features an intelligent Multi Shot Noise Reduction tool that reduces noise even further than the cameras sensor and the DIGIC 5+ Image Processor do. With Multi Shot Noise Reduction activated, the camera takes four consecutive shots, merges and aligns them. This eliminates more noise than the cameras traditional Noise Reduction filter, with little or no apparent resolution loss. Moving subjects are even optimized to minimize subject blur! Thanks to this clever feature, high ISO shooting has never looked better. The EOS 70D features lens correction tools that compensate for lens characteristics that can affect overall image quality. The EOS 70D cameras Peripheral Illumination Correction feature corrects light falloff in the corner of the image according to the characteristics of the lens being used. It even has correction data for a number of popular lenses stored in its memory. With the chromatic aberration correction tool, distracting color fringing can be corrected at the time of shooting. To help explain the specific function of features found on the EOS 70D, the Feature Guide displays a simple description helpful in determining the applicability for the situation at hand. It is displayed in each shooting mode, during mode dial operations, and for Quick Control screen functions. It appears automatically when a function is selected a lifesaver when trying to determine the best mode or function for the next picture. The feature guide works automatically by default, and can be disabled easily through the cameras menu. With the optional GPS Receiver GP-E2 attached to the hot shoe or the digital terminal, the EOS 70D can record location, including latitude, longitude and altitude, and has the ability to track the trajectory of movement with its logging function, perfect for photographers on the go. An electric compass records the cameras orientation during each shot, and world time information is recorded through GPS syncing. To help organize images recorded to the cameras storage, the EOS 70D makes it simple to rate individual images from one star to five. Therefore, image browsing, printing and slide shows can be based upon those ratings. The EOS 70D uses popular SD, SDHC, SDXC, and is even compatible with Ultra High Speed (UHS-I), memory cards. Compact and available in large capacities, SD, SDHC and SDXC memory cards are a perfect complement to the cameras compact design.